The Humat valve is manufactured by Humat, Inc. which is located in Forest Hills Maryland. It was founded by Bob Hughes, Hurley Matthews, and Nick Borst to develop and market to the fire service products that improve water handling on the fire ground. How it got it's name I don't know. The Humat 4-way Hydrant Valve, is used by innovating fire departments in every state and is relied on for training by leading fire schools. 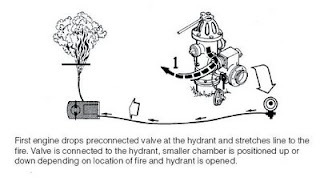 Using Humat valves is the most efficient method to get the most water on the fireground in the least amount of time. It is made of lightweight aluminum alloy for easy handling, heat treated for extra strength and hard coated to prevent corrosion and increase surface strength. 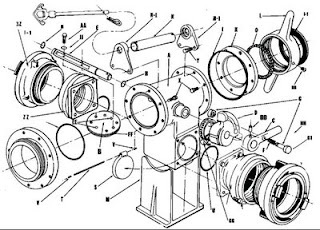 Here is an exploded view of one with storz connections. And here is an exploded view with standard connections. 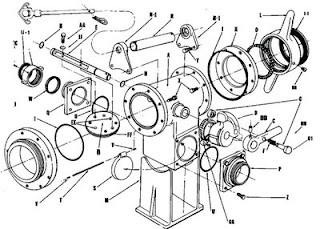 Here as the features that can be found on the valves. turn of the handle for full operation. whether the interior butterfly valve is open or closed. 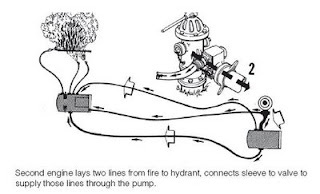 interruption of flow when pump pressure is activated. 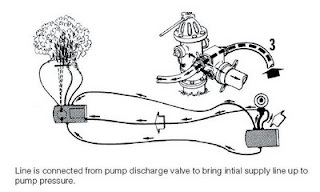 I was wondering how much pressure do you pump from the discharge back to the humat valve, and how do you calculate for it?